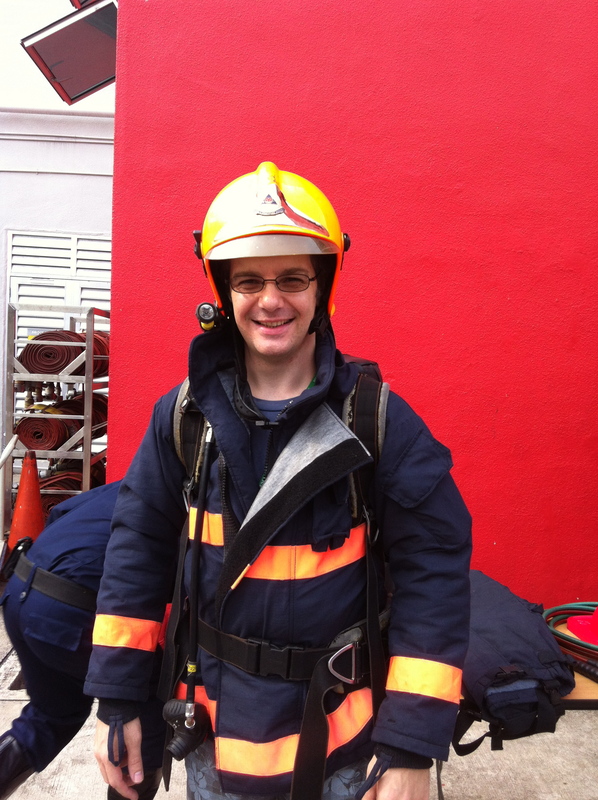 If your kids want to be firemen when they grow up then they will love a visit to a real fire station. 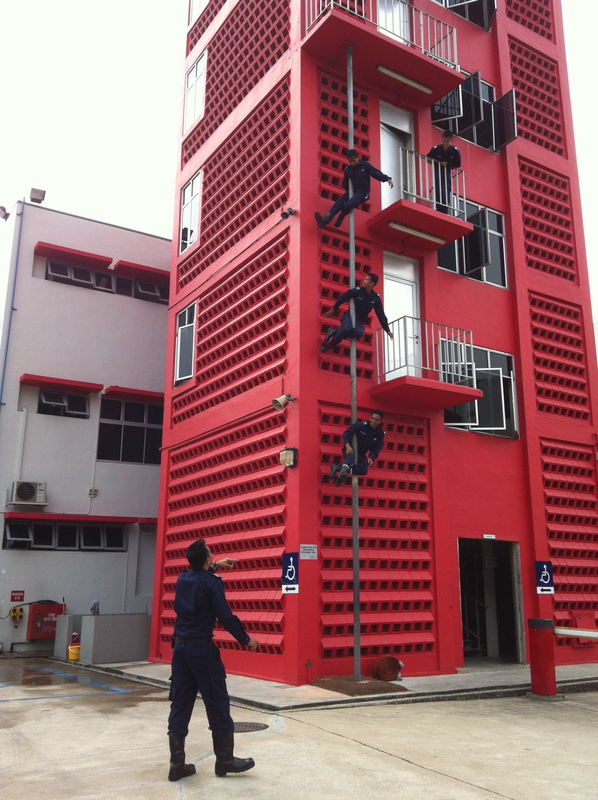 All the fire stations in Singapore (except Jurong Island Fire Station) have a weekly open house on Saturdays from 9-11am. 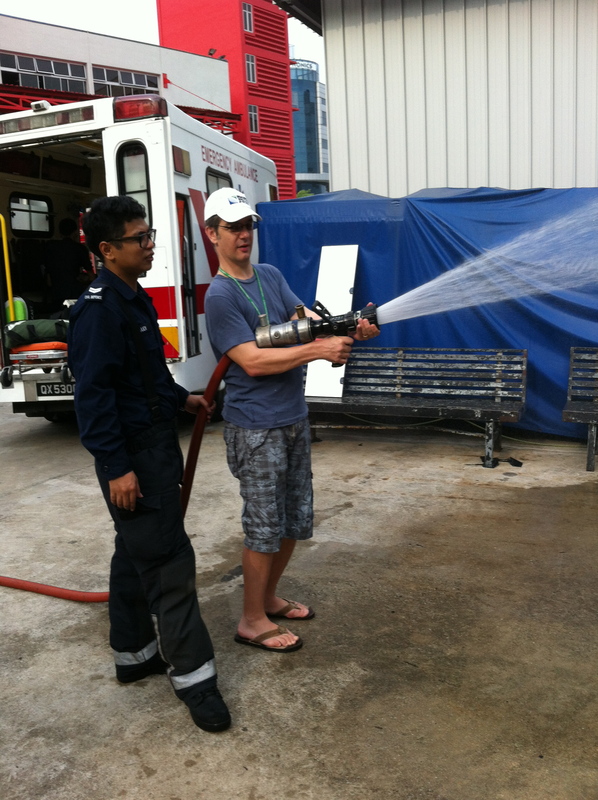 We went along the Changi fire station with 2 other families and had the place to ourselves, it was like a personal tour. Apparently this is fairly usual and so you’re going to have several firemen following you around and amusing the kids. So what do you get shown? They kickoff by showing you the command and control centre and explaining where they cover and how they get callouts and things so have some snacks to keep the kids entertained. 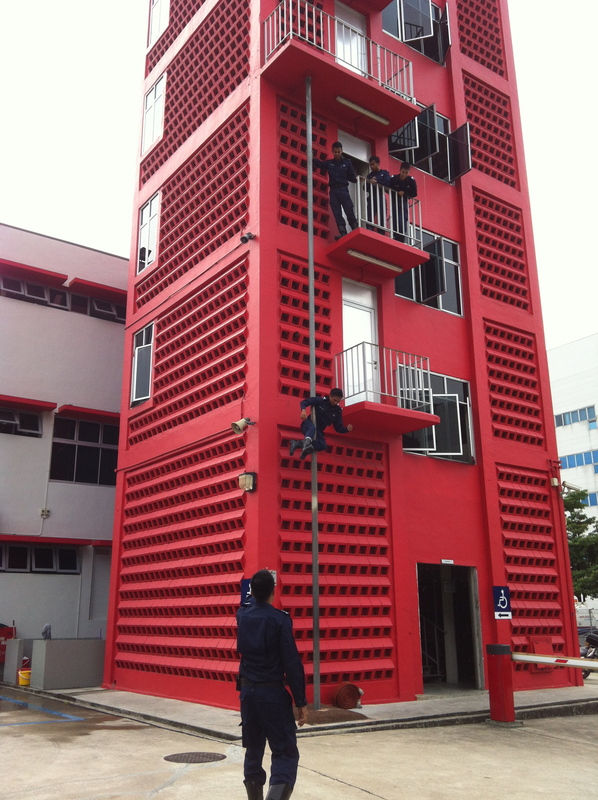 Then the fun stuff starts, the fireman’s pole demo. Unfortunately they don’t let you have a go but they put on a good show coming down different ways (look no hands) and stopping and starting as they come down. 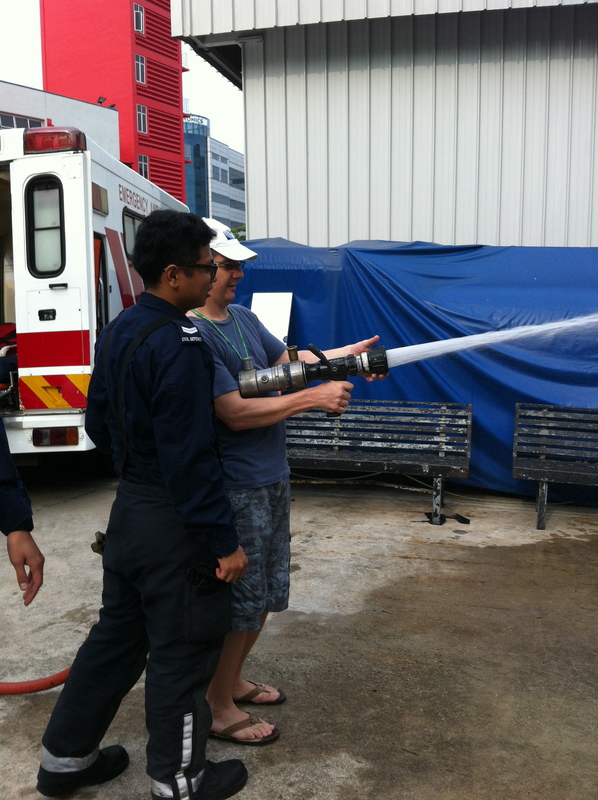 We then got to play with the hoses spraying away but no mock fires or water fights allowed. I was shocked by the kick they have but even the little ones get to have a go (a firefighter holds it for them as they turn it on and off). Do you get to dress up as a fireman? The kids get plastic toy firemen hats but the adults get to try on the uniform and also get your hands on all the kit they use. I got to wear the breathing apparatus as well and how they move around in all the kit and that on their back in this heat I have no idea. Out a Changi most of their work is with road traffic accidents so you get to see the “jaws of life” (bloody heavy). Can I climb in and pretend to drive a fire engine? Not the big ones, we did get shown round it and also one of the Light Attack Fire Vehicles which the kids could climb into. They finish up the tour with what can only be described as a fire pole descending display with up to 3 firemen on the pole at one time, actually pretty impressive. All in all a great way to entertain the kids on a Saturday morning for an hour and well worth the $0 entry fee. What a great idea for a weekend morning! Can’t beat a $0 entry fee! It was a great morning. We’ll have to go again, maybe a different one next time.